If you thought Big Tobacco was bad, think again — The Coca-Cola Company and PepsiCo just proved that Big Soda is much worse. A recently released study now proves they have been sponsoring nearly 100 different health and medical research organizations — from the Centers for Disease Control to the American Diabetes Association. Researched by two medical students at Boston University and published in the American Journal of Preventive Medicine, the study probes into the corporate sponsorship by soda companies, something the researchers claim has been little investigated. "Although corporate sponsorship by tobacco and alcohol companies has been studied extensively, there has been no systematic attempt to catalog sponsorship activities of soda companies," write the authors. And their results are pretty shocking. 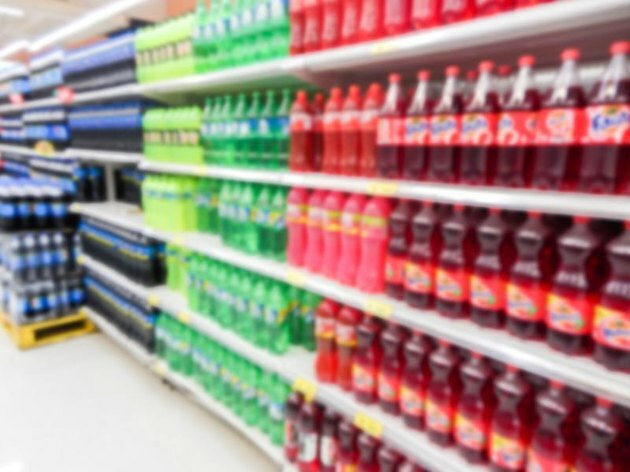 By going through the public records of the soda companies' corporate philanthropy and lobbying expenditures on public health legislation, the researchers were able to determine the sheer magnitude of the beverage companies' monetary involvement in what should be unbiased public health information. The news is alarming, given the recent information that has surfaced concerning the purposeful cover-up of sugar's relationship to obesity and heart disease by Harvard scientists. In fact, research shows that sugar, whether in packaged foods or soda, has never been more detrimental to the American population, from rising obesity rates to diabetes and metabolic disease. Looking through the extensive list of the 96 organizations that Big Soda sponsored, you can see that the list is predominantly made up of institutions that can be broken into four categories: Food action and awareness organizations, health research and awareness organizations, African-American, Asian-American and Hispanic groups and children's organizations. Who and What Do the Beverage Companies Target? Food Research and Action Center: A national anti-hunger organization that lobbies on behalf of food stamps, the Women Infants and Children (WIC) program and other federal food and nutrition programs. Feeding America: The nations largest hunger-relief foundation, providing 3.6 billion meals to Americans through food pantries and meal programs. Food Science Policy Alliance: An organization that provides a scholarly venue for the objective evaluation of science-based food policies and regulatory issues for students, consumers, government and industry. International Food Information Council: A foundation dedicated to the mission of effectively communicating science-based information on health. American Diabetes Association: Funds research to manage, cure and prevent diabetes and provides information for how to combat it to both patients and health care professionals. Juvenile Diabetes Research Foundation: Leads the global Type 1 diabetes research effort to keep people healthy and safe until we find a cure for the disease. Centers for Disease Control: As the nation's health protection agency, the CDC saves lives and protects people from health threats. To accomplish our mission, CDC conducts critical science and provides health information that protects our nation. American Medical Association: To promote the art and science of medicine and the betterment of public health. National Hispanic Medical Association: The vision of the organization is to be the national leader to improve the health of Hispanic populations. Asian American Federation: Aims to raise the influence and well-being of the pan-Asian-American community through research, policy advocacy, public awareness and organizational development. National Black Nurses Association: Facilitates collective action by black nurses to address health care needs of African Americans. Black Girls RUN! : The mission is to encourage all (especially African-American women) to make fitness and healthy living a priority. Boys & Girls' Clubs of America: Inspiring and enabling all young people to realize their full potential as productive, responsible and caring citizens. Fan4Kids: Weekly, school-based fitness and nutrition lessons to teach students and their families lifelong healthy habits. Girl Scouts of the USA: Encourages girls in the areas of courage, confidence and character to make the world a better place. Save the Children: Giving children a healthy start, the opportunity to learn and protection from harm. Do you think it is bad that soda companies sponsor health organizations? Do you drink soda? Do you think these organizations are targeted to influence the public's attitude toward soda? Let us know what you think in the comments! Why Are Statistics Important in the Health Care Field?